I’ve been wanting to play Robinson Crusoe for quite a while now, and I’ve recently had a couple of opportunities to try the game out. I’ve had two goes at it, and have yet to reach the end, so a lot remains unknown. But I can say pretty confidently that this game is a lot of fun, and ticks a lot of boxes for me. 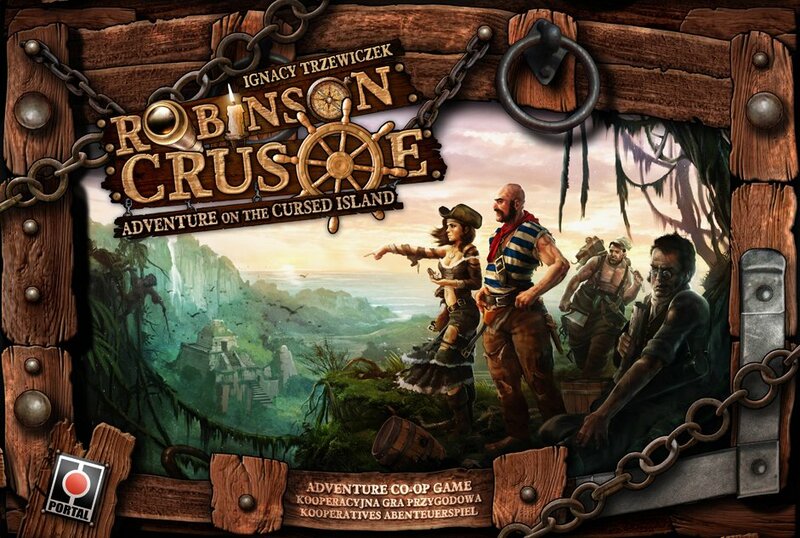 Robinson Crusoe is a co-op game for one to four players that tells the story of some people (and maybe a dog) stranded on an island, trying to survive. The game is essentially a worker-placement game, but there’s a lot going on besides sending people out to do stuff. For one thing, there’s a modular board that has you building your island Catan-style with a series of hexagonal tiles. There are resources to collect and manage. There are several decks of cards that dictate a variety of random events, most of which will harm you in some way. There are multiple sets of dice to be rolled at various points. And there is a ton of room for player choice. One of the game’s best features is the balance between risk and reward. There are a lot of situations where you have to choose between a high-risk/high-reward option and a low-risk/low-reward option. For example, when placing your workers, (of which everyone gets two), you usually have the choice to place both on a single objective, guaranteeing success, or place a single worker on an objective, determining the outcome with dice rolls. Throughout the game, you’ll need to do both of these things. If you always take the safe route, you’ll never accomplish enough to win the game; if you always take the risk, you’ll sometimes fail to accomplish a critical goal, wounding yourself and triggering potentially disastrous events in the process. Wound yourself enough, and your team’s morale will drop, causing you to lose critical resources and, eventually, more life, until someone dies and the game ends. 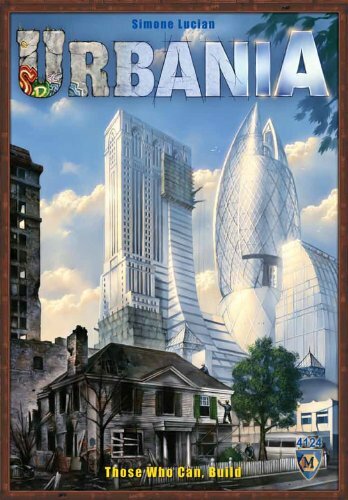 I recently had a brief – as in, didn’t finish the game – session of Urbania, and found it to have some promise but also some frustrating aspects. The game basically pastes some of the basic Ticket to Ride mechanics onto an area control, urban development game. You collect resources from either a bank of a few face-up cards or from the top of a face-down deck, you acquire secret objectives that you’ll try to fulfill by the end of the game, and you buy stuff off of the map. There seems to be more depth in Urbania – the resource system is a bit more complex, and there are a few more variables that factor into how you earn points – but it feels pretty familiar in a good way, taking something you know and stretching it out a bit. There are some interesting strategic elements at play in Urbania. One category of secret objectives requires you to somehow lure other people into trading a certain specialist back and forth, driving up its price. The game also has you paying for things with victory points, which I don’t think I’ve seen before. So many elements are interconnected that it can be tough to keep track of everything that’s going on, but it also means that it’s probably tricky to simply math your way through the game. My first playthrough was the typical first run: I spent the first half of the game or so just learning the mechanics and fumbling with strategy, and by the end I felt I had a good enough grasp of the game to play it competently next time. I’d like to take another stab at this game now that I know what I’m doing, but I’m also slightly dreading playing it again just because I know the design flaws are going to make the game a lot more frustrating and confusing than it needs to be. 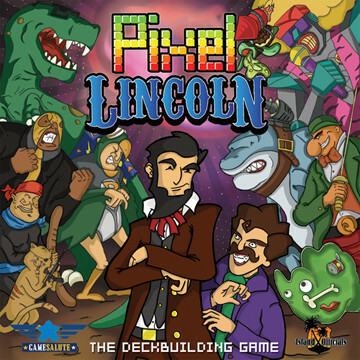 I played Pixel Lincoln for the first time the other day, and here some quick impressions. 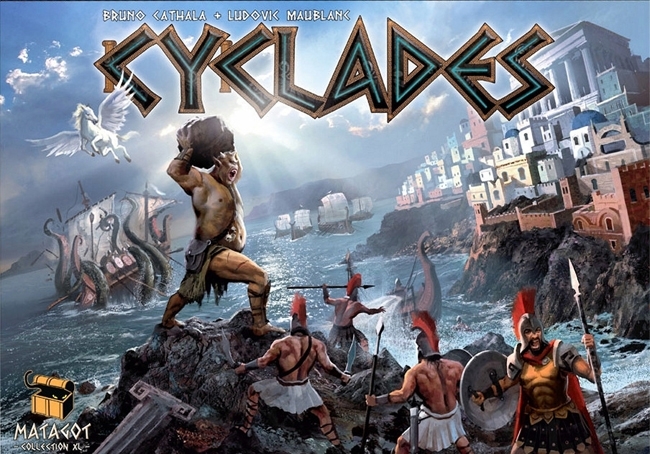 The game is a light deck builder styled after an 8-bit side-scrolling videogame. Simple, clever mechanics simulate the horizontal movement of a side-scroller as you make your way from one checkpoint to the next, battling various minions and bosses with absurdist weapons like the beardarang, and wearing a duck on your head for no particular reason. Almost like a co-op game, everyone works through the levels together, battling not each other but the enemies that come off of the level deck – though it is possible to have some players on different levels – trying to gobble up victory points along the way. For a deck-building game, the deck-building here is pretty minimal. In each level, there are only three potential items to buy and add to your deck, and you’re at the mercy of the level deck, as everything – items, monsters, and NPCs – is shuffled together, and you can only buy items that cross your path. Revealing the cards this way helps the humor, dribbling the jokes out gradually rather than laying them all out on the table up front, though a deck building game will of course fit far fewer jokes into the box than other humor-oriented games like Munchkin or Killer Bunnies. For a game that leans so heavily on the sheer wackiness of its concept and cards, I doubt there’s enough material here to keep that aspect of the game fresh for more than a dozen plays. As for gameplay, the game is decently fun. As its theme suggests, it’s a simple, light game. There aren’t too many tactical decisions to make, as your hand often leaves you with only one viable course of action or, at most, the choice to either take down an enemy for victory points or buy an item. And, as card-buying opportunities are so few and far between, it doesn’t seem like there’s much opportunity to pursue an overarching strategy. But there are opportunities to screw over your friends, and that usually makes any game more fun. I should mention that my impressions are based on a single, abbreviated play. Four of us played through level one; level two would have added another batch of (presumably better) items and, therefore, more opportunities to form a strategy. We also stumbled our way through the level, three of us having never played before and one of us remembering rules incorrectly. This seems like the kind of game that you want to be able to blast through quickly without having to consult a FAQ. At this point I don’t know that I’d buy this game (MSRP $45) unless I found it steeply discounted, but the taste I got was enough to make me want another go at it. My first (partial) playthrough was fun in part due to the simple novelty of playing a new game, but it hinted at potential for more fun to be had, and I’m looking forward to a complete playthrough unencumbered by rules confusion.